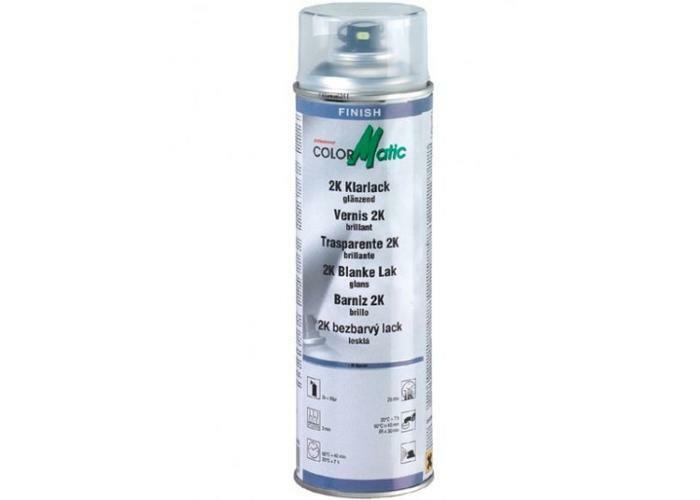 Colormatic 2K Clear Coat 500ML. 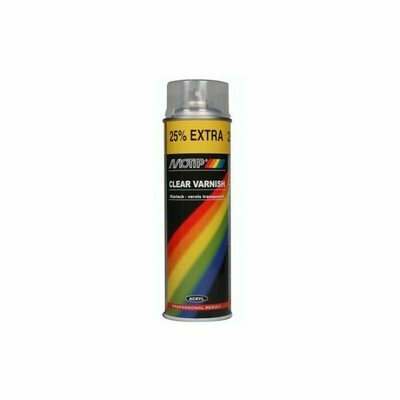 Ideal for on the tank! 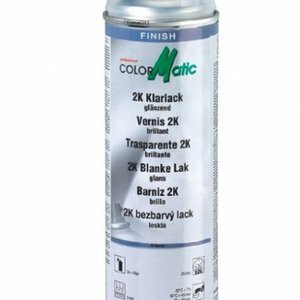 Colormatic 2K Clear lacquer is an extremely scratch-resistant quick-drying and UV-resistant clear coat, which is 100% petrol resistant. It has a very good flow and is well polished. Instructions for use: The hardener is packed in a separate cartridge in the can. Before mixing the 2 components, place the can on the head on a flat surface. Remove the protective cover at the bottom of the sleeve and insert the ring into the pin. 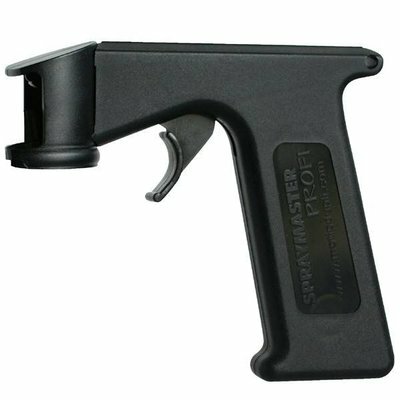 Pull the pin out to the stop using the ring. Then 360Gr. to spin. The bus shakes VERY vigorously for at least 3 minutes, counting from the sound of the bullets. 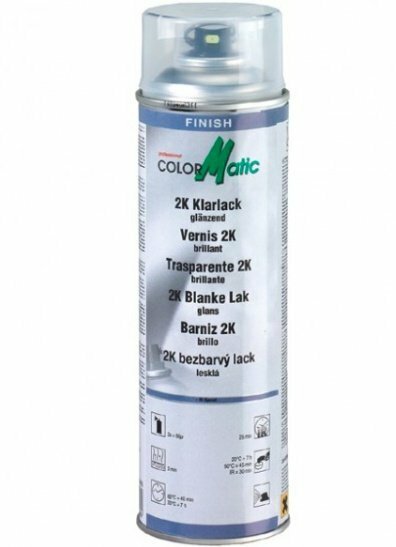 Apply 2 coats of clear coat with an interval of 2 minutes (20Gr.). Can be kept for 24 hours after activation!